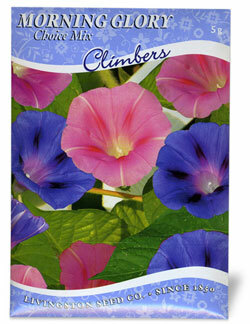 A beautiful combination of dark blue, pink and rose flowers makes Choice mix Morning Glory "our choice." Easy to grow in any spot you choose. Garden Tip: These seeds have a very hard coat. Soaking overnight or nicking the seed before planting helps germination.